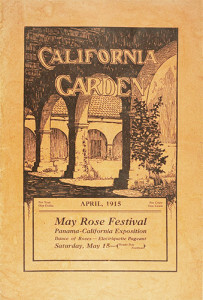 The San Diego Floral Association has posted PDFs of nearly all California Garden magazines on-line at archive.org. Before and during the 1915-1916 Exposition years, many issues mentioned or contained articles about the Exposition. The following links to these issues on archive.org will open to one of the pages that mention the Exposition. You will find them easy to flip through or search for the word exposition.